Day 81 - Wassup' 2012? Sofia is almost 9 months old and she had her first New Year party, so to say :) . She handled it like a boss! In the morning I got the chance to have some fun with her along the Cassius app. 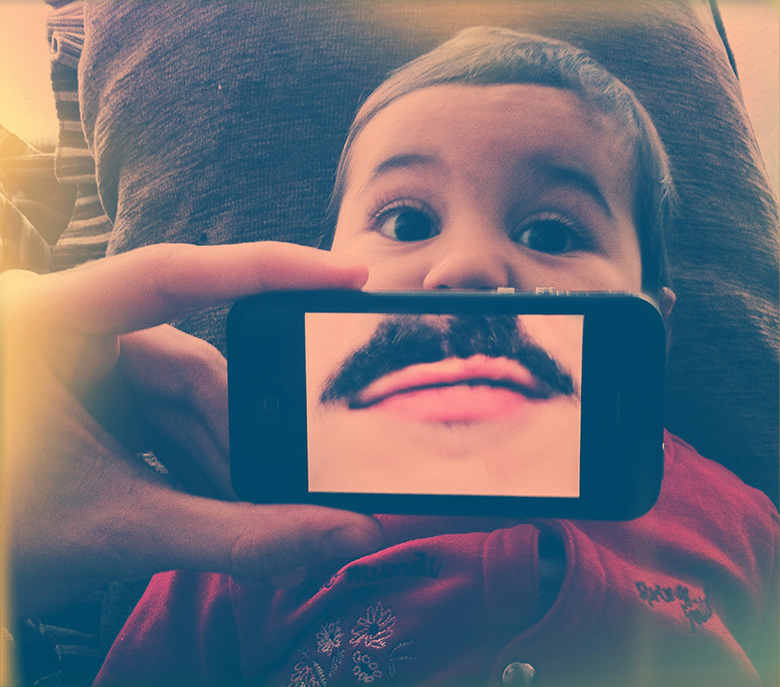 Sofia wishes you from below her mustache to have a beautiful and full of dreams coming true in 2012!